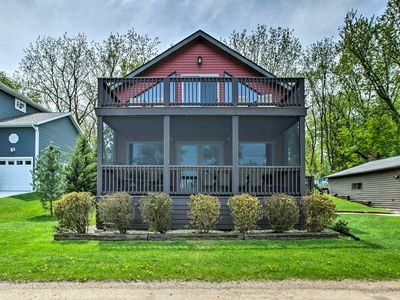 Experience the ultimate Edgerton, Wisconsin lakeside retreat. 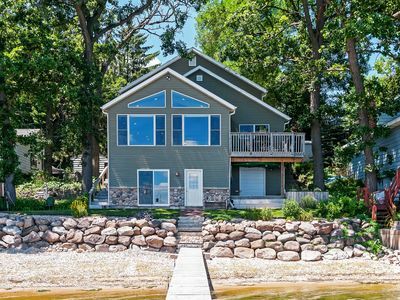 From the moment you first arrive, you'll be in awe of this modern home, boasting 2,654 square feet and set on the perimeter of the lake. 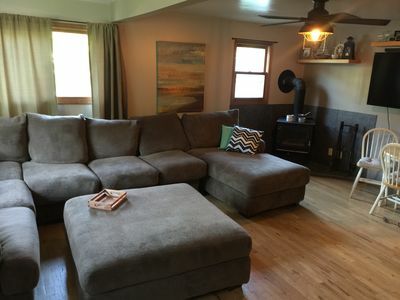 This 3-bedroom, 3-bathroom modern vacation rental home is the perfect destination for up to 12 guests (beds for 7 guests and AeroBed's for 5 guests). With plenty of year-round outdoor activities available and area attractions nearby, you and your group are sure to have an amazing time! 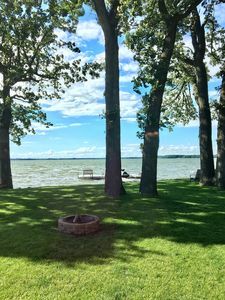 Just outside your back door is your private access to Lake Koshkonong, one of the largest recreational lakes in Wisconsin. 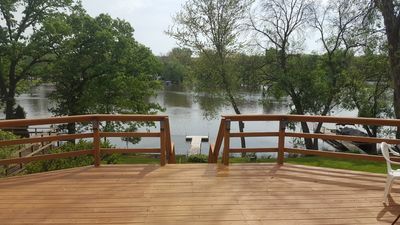 In addition, the home's private 50-foot dock offers added convenience for guests bringing boats or fishing gear, with a boat launch just three doors down. 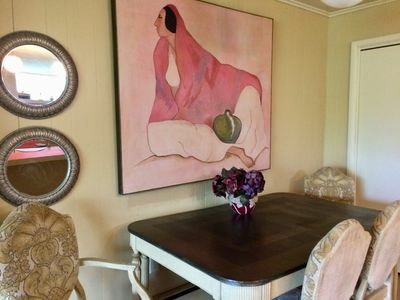 Inside, the home has comfortable furnishings and modern decor. 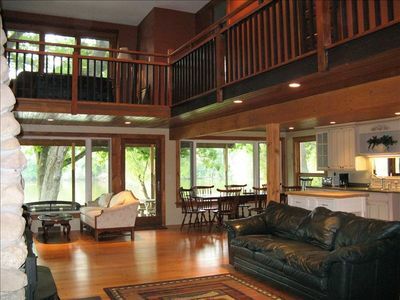 The lakeside of this home features large windows, offering amazing lake views. 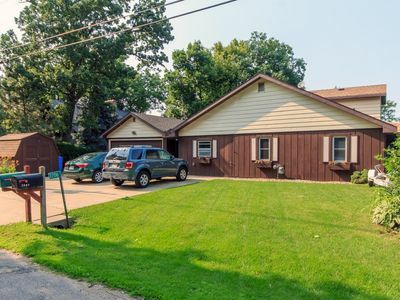 There's plenty of space to spread out and relax throughout the living space, complete with an inviting living room and large, open basement area. 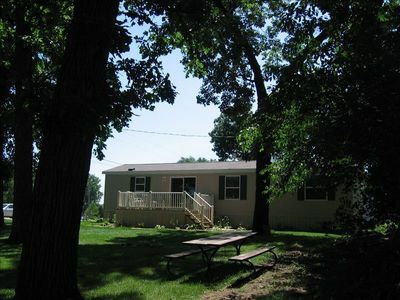 After an exciting day on the lake, prepare a delicious home-cooked meal in the large, fully equipped kitchen. After enjoying your meal in the adjacent dining area, you can unwind in the comfortable living room, where you can cozy up by the gas fireplace as you watch TV on the flat screen or surf the web on the complimentary wireless internet. When you're ready to call it a night, retreat to one of the inviting bedrooms to rest up for the next eventful day in the great outdoors! You won't have to venture far from the house to access the seemingly endless supply of outdoor recreation within the area. 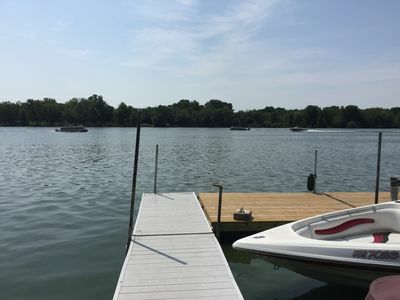 With boating, fishing, biking, water skiing, cross-country skiing, snowmobiling, ice fishing, and swimming, you will have plenty of options! 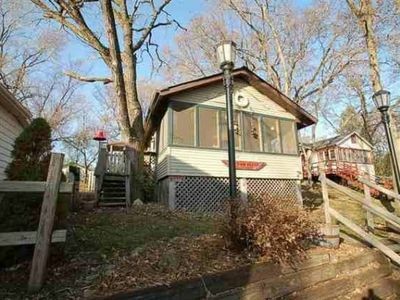 Should you feel like venturing further from the house, Ft. Atkinson is within 10 miles, and Janesville is within 20 miles. 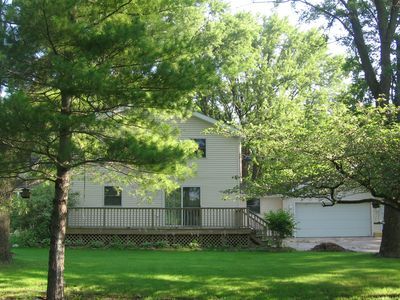 In Janesville you'll find plenty to do, from browsing stores and shopping centers, heading to the movies, dining at great restaurants, and more! 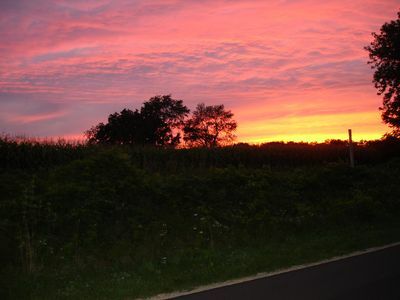 Take an easy day trip to Madison, located just 30 minutes away, or Chicago, a 2-hour drive from the home. 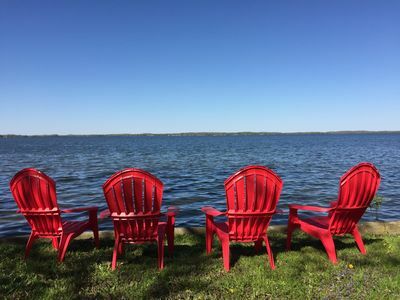 The possibilities for adventure are endless, and are all accessible when you book this incredible Edgerton vacation rental home! 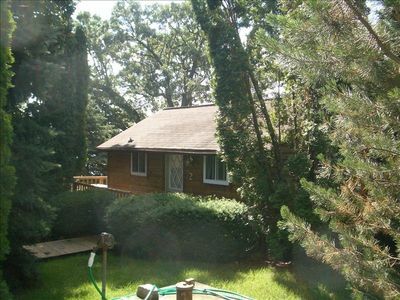 - Fantastic location - Right on the lake. 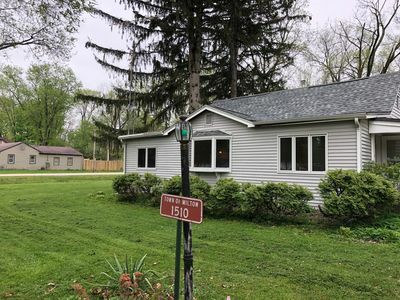 5 minutes to Edgerton, within 10 miles to Ft. Atkinson and 20 miles to Janesville, multiple restaurants, shopping, movie theaters, and much more! 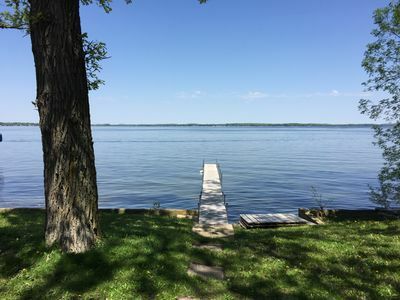 Best Reviews of Any Listing on Lake Koshkonong!!! 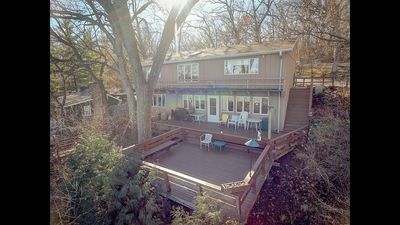 FIVE STAR ROCK RIVER VACATION HOME! Spring Discounts! Small weddings! The Perfect Getaway! Great Ice fishing on the lake! 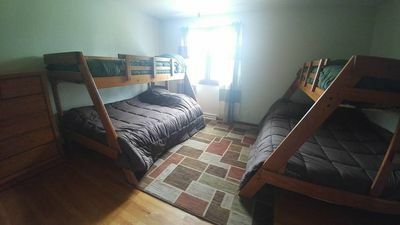 BEST PROPERTY ON LAKE KOSHKONGONG!! 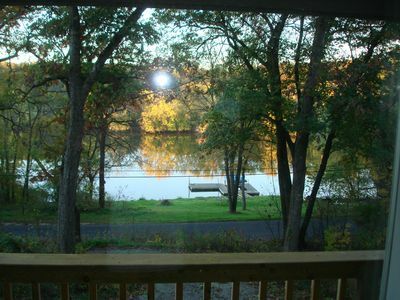 Quiet and peaceful retreat on beautiful Rock River.